With break next week, the chapter falls on March 2nd… literally an hour before I recieve Breath of the Wild… Well, I’m always up for a challenge. Excellent Job as Always! 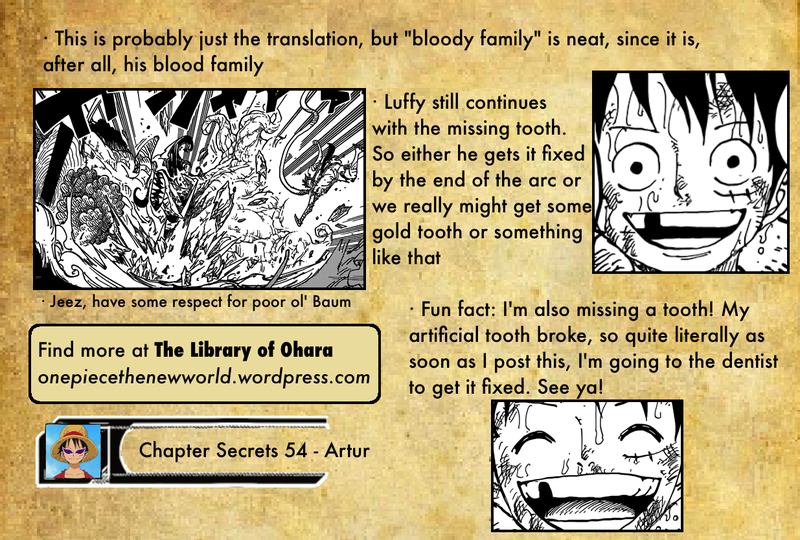 I’m really starting to wonder if the missing tooth is gonna become a permanent fixture of Luffy’s design. Or as you said, it might become a Gold Tooth. 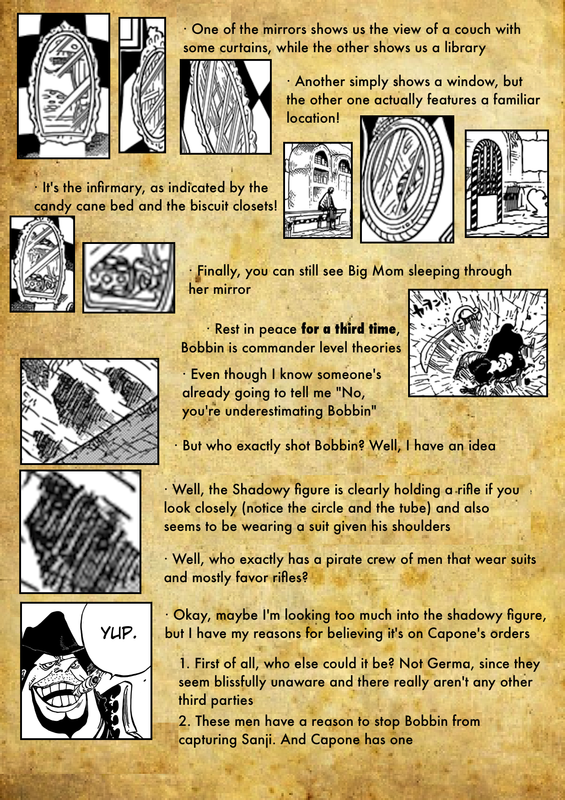 Blackbeard should really get some of those himself. Nice catch on the imagery in the mirrors! 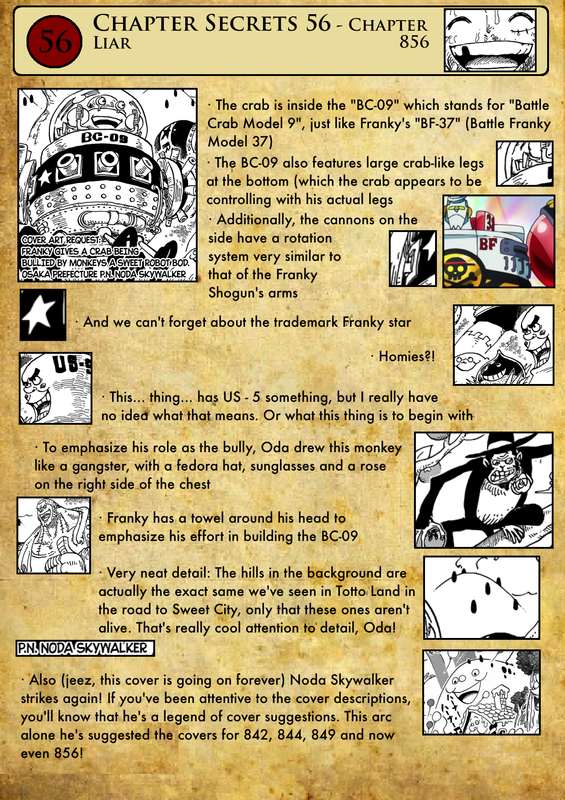 I agree on Capone being connected to the figures in the rain, particularly since Jimbei was alluding to him the page before. I didn’t catch that bit with Noda Skywalker actually. I wonder why their submissions keep being picked. Though to be honest, I’d really like for a new Cover Story to begin. Maybe one for some of the Don Quixote Family Members?